Colour: Translucent clear with Silver trim. 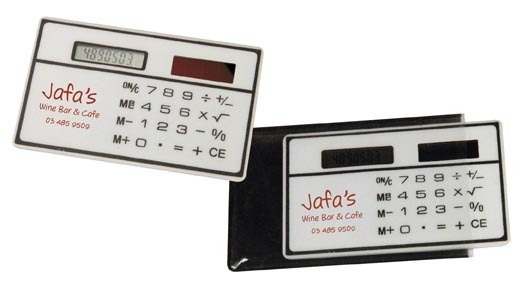 Modern designed hand held 8 digit calculator. 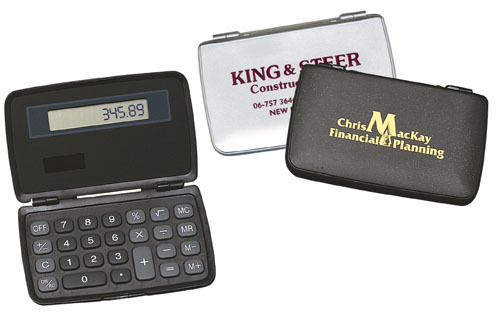 8 digit battery powered calculator with a flip top cover. Front cover - 78mm x 45mm. Colour: silver with clear ruler parts. P.U. 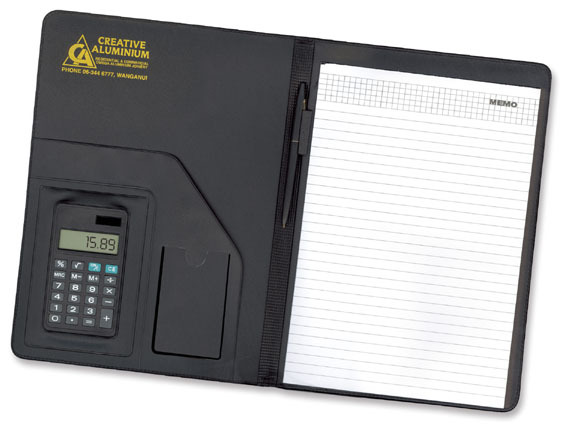 portfolio complete with calculator, pen and A6 size lined pad. 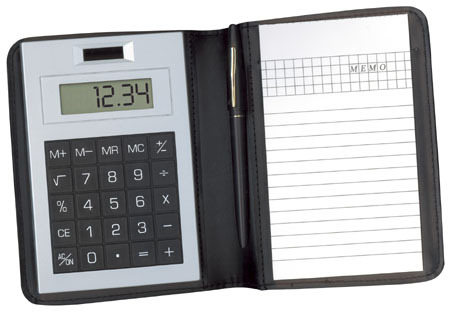 Colours Available: Black with Silver calculator. If you choose the resin dome option for printed label. These will be applied to the product at no extra charge. Colours available - metallic silver with grey keys, black with metallic silver keys. 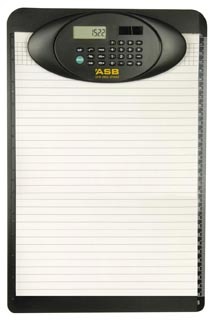 Product Size: 120mm x 81mm. Print Area 5mm x 50mm. 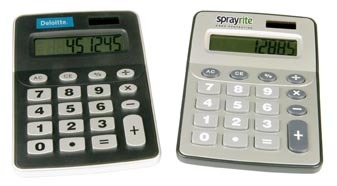 Clear plastic solar powered calculator. Colour Available - Black and Silver. Product Size: 90mm x 59mm. Print Area: 13mm x 45mm. 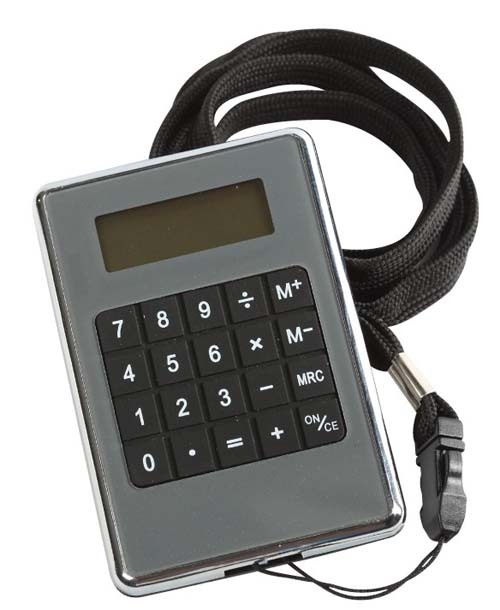 Silver plastic calculator with black rubber buttons and black lanyard attached. Unique desk clock with time, date, day, alarm. Flip it over and it becomes a calculator.